While most of the state is coastal lowlands, which support only warm water fish, the western highlands of Virginia support some of the finest brook trout habitat to be found in the mid-Atlantic region. 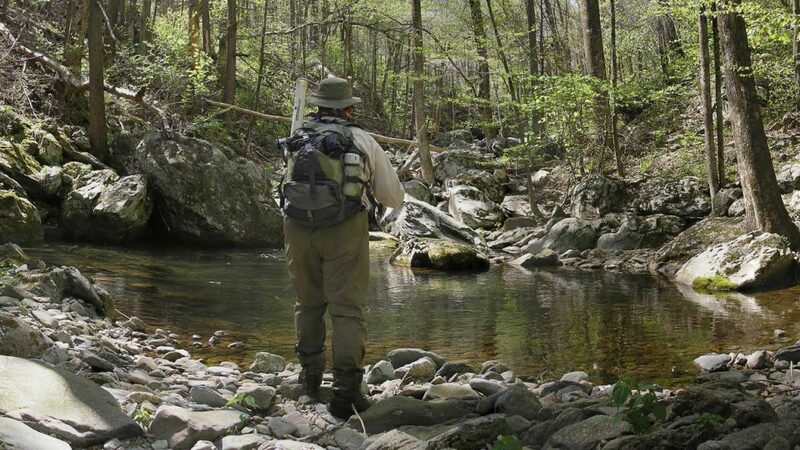 Shenandoah National Park is a mecca for Brook Trout fishermen, in part because the streams are so beautiful, and in part because they're so easily accessible. Still, there are sections of even some of the more famous streams that are difficult to access, which limits fishing pressure (see photo above, taken by the webmaster). The The Virginia Department of Game and Inland Fisheries (VDGIF) is one of the more enlightened states as it publishes good quality GIS information on wild trout across the state.